Aerobatic RC Glider: Translate of my french book voltige planeur RC = Aerobatic RC glider. 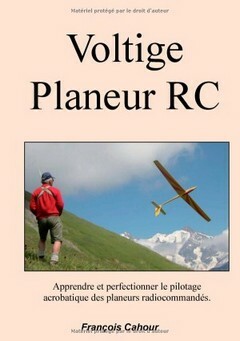 Aerobatic RC glider is finally available, the book has been translated and published last year from my original book in french » Voltige planeur RC ». I will do the diffusion myself this time to garanty the printing quality of the book. I will ship world wide with tracking number, garantying the transaction for you and for me. I will ship the order once a week usually on Friday, and send you the traking number. Please verify your postal adress and email to contact you. Already, books go to the US, Switzerland, England, Germany, New Zealand and Australia…. – worked on a regular basis for RCM and RC Pilot magazines since their inception. – participated in several other publications dedicated to silent flight. – edited a column devoted to the technical aspects of radio control equipment. – edited another column devoted to aerobatics for gliders. – in these summer camps, hundreds of pilots have benefited from the advice of the best sailplane pilots. – these sessions helped to develop VTPR ², an extension of traditional sailplane aerobatics. The competitive results of the coaches of this flying school are quite impressive. – organized aerobatic competition for gliders and successfully participated in other competitions. – has done aerial photography and video transmission for over 20 years with homemade equipment. – developed a test that puts servos in real load conditions, with accurate, reliable measurements to compare their performance. – on-demand courses for full composite construction. – developed unique aerobatic maneuvers and demonstrated them in videos. Among these are the regular flat spin, inverted flat spin with control of the speed of the spin, as well as a few other tricks that he practices regularly with his club members and friends. The flying school changed location to Corps, Luce la Croix Haute, Font d’Urle, for a time before returning to Col des Saisies. 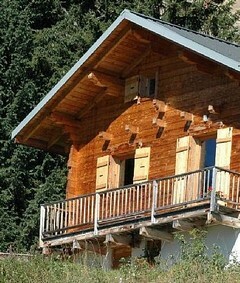 Summer 2004, flying school in Beaufortain at Col du Couvercle above Arêches. Aerobatic RC Gliders is published with the support of my RC glider friends who are enthusiasts of Silent flight aerobatics and exceptional slope soaring. Thank you to all the participants and coaches , who have contributed to the slope flying school at Col des Saisies. Thank you to those students who have invented unusual flying situations that have required analysis and correction. This too has helped in the process. Thank you to Laurent Michelet, editor of RCM and creator of RC Pilot, for his constant support and insights; Jean Claude Bosquet and Jean Luc Orain for their advice regarding composite construction, without which my models would have been weaker and less agile. Special thanks to Michel Seguin for his participation in the graphic design of the aerobatic maneuvers shown in this book, Denis Dupuy and Rémi Catillon for the quality of their pictures and videos, and for their numerous technical contributions. Finally, thank you to Stephane Ruelle, Walt Trancygier and Burt Pickard-Richardson for their translation of the book from my French to their English. All of these pilots are aerobatic sailplane fanatics. François Cahour has written this instructive and occasionally lyrical book in French. The ‘to English’ translation team, being neither professional editors nor translators, has chosen to rely on adding some narration and occasional footnotes as an aid to our presentation of his words. These will appear in italics, and will refer to François Cahour simply as ‘he’. The book presents information and opinion regarding quite a few technical issues regarding model sailplane aerobatics. There are sections devoted to issues of radios, airframe design, and airframe tuning; three sections devoted to the maneuvers themselves; and also a section describing a structure for competitions among pilots. First, however, he presents some more lyrical remarks addressing what we seek by. performing aerobatics. We label these his Introductions.